Tomorrow is my 300th consecutive blog post and at this point I’m ‘starting to’ run out of ideas (like I wasn’t running out of ideas by day 2) but with the help of my mum to talk about ideas with, she suggested I talk about what I’m watching on Netflix right now. I finished Orange is the New Black just after I moved to Uni and I was choosing between different shows to watch – when I’m watching shows like this on Netflix I generally like to go through the whole season without jumping around between other shows too much so I knew I needed to find something I was prepared to commit to. 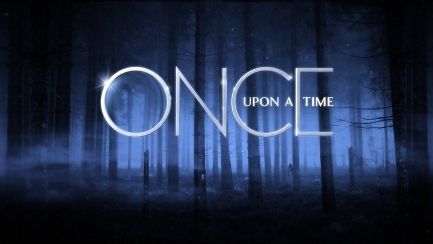 My sister is obsessed with Once Upon a Time, I’d seen a bunch about it on tumblr and one of my flatmates told me I needed to watch it (if you could speak italics, her’s would have been italicised, emboldened, underlined and in caps… she was enthusiastic). So I started watching Once Upon a Time. Or shall I say I spun into a downhill spiral with the OUAT university at the bottom. That’s more accurate. I’m not big on fairy tales if I’m honest – it’s all a bit too conveniently ‘happy ever after’ for me but I love the darker take on it all and the concept that all the fairy tale characters know each other and all have been tricked to living in this town where they don’t know who they are is just brilliant, I can’t believe no one’s thought of it before. I wish I’d thought of it. Oh yeah, if you’ve not watched OUAT yet and you intend to… I’m only halfway through season 1 but spoilers. A few spoilers. There’s not much to spoil as I’m only eleven episodes in to a five season show and apparently it gets better as the seasons go on (I’ve seen a lot about Hook and more darker characters in the later seasons via tumblr?) but right now I’m loving the focus on Snow and Charming and the way they interlace the back stories with the modern events. Seeing ‘fairy tale’ characters with phones and jobs and normal, modern clothing is such a drastic contrast to the big dresses and baggy shirts that they’re traditionally known for. I just love the concept and my plan for this evening is to curl up in bed and watch a few episodes! Also be asleep by 10, I need to sort my sleep pattern out.